and is peacefully sleeping in it tonight as I write this. I think he was a bit more excited about it tonight at bed time because we got to have story time in his bed with Sissy (Savannah). We have reiterated to him several times that he is not allowed to get out of his bed and if you ask him what the rule is he will say, "No get outta my bed". So far so good-- however, he has been summoning Savannah to come to his room and get things for him to play with in bed :) Clever little fellow!! Think good thoughts for us for a peaceful AND restful transition into the big boy bed! We spent a wonderful week down in Escondido at the Lawrence Welk Resort for the second year in a row. Mitch's parents bought a timeshare at Lawrence Welk back in 1989 and have been very generous with it over the years! 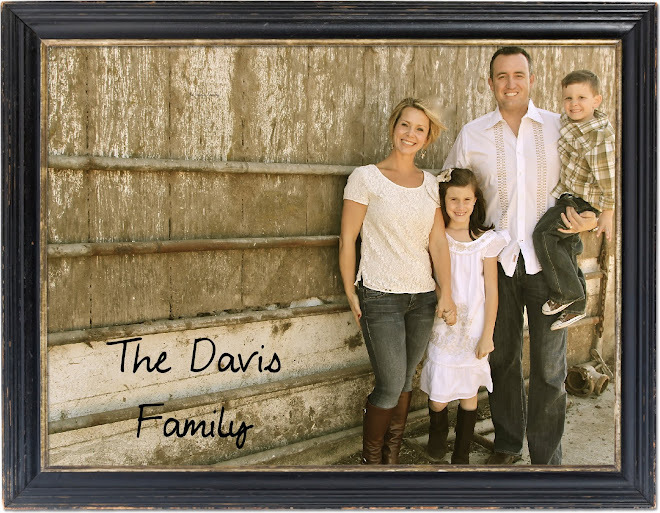 We have been able to take some great vacations all over by ourselves and with the whole Davis Family by exchanging the timeshare. Last year we had to be down in San Diego for a wedding and were able to stay at Lawrence Welk for a week with the kids. We had such a fabulous time & the resort is so family friendly that we decided to go back this year. We were able to visit with family & friends who live down in Southern California, as well as enjoy some of the great things San Diego has to offer. We love the Lawrence Welk resort & all the fun family memories we have made there--- thank you Pommy and Papa!!!! This week we are down in Escondido staying at Lawrence Welk. We came here last year and had such a good time we decided to come back. There is a lot of history here with the Davis family (more on that later) and the kids have an absolute blast--- so do Mommy & Daddy! I forgot my camera cable so I can't upload the photos I have taken, but I thought I would share a few pictures from our trip to Sea World yesterday that I took on my iphone. was at a whole different level! the mirror was so worth it!! On an entirely separate note, Dylan has been sleeping in a "big boy"